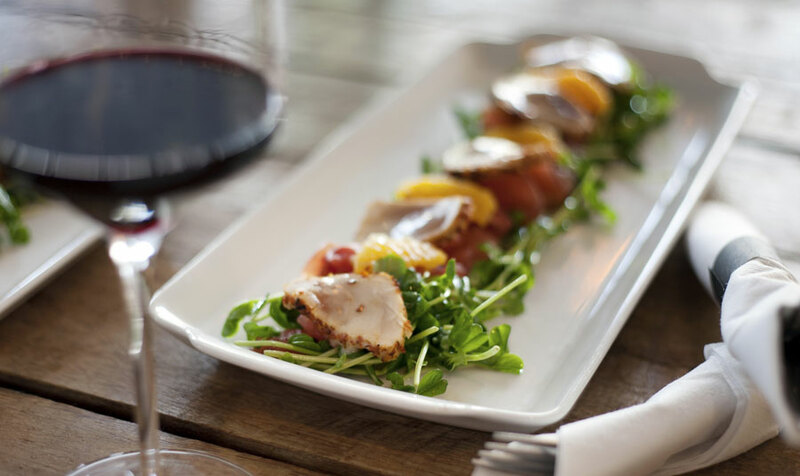 Enjoy an intriguing menu, featuring varied and complex flavors, when you visit LaSalette, one of the most distinct restaurants in Sonoma, CA. Set amid the historic buildings in Sonoma’s landmark central plaza, this local favorite offers an unforgettable selection of Portuguese dishes, along with an impressive selection of local wines. With his signature “new Portuguese cuisine,” Chef Manuel Azevedo blends the flavors of his native Portuguese homeland with premium ingredients from his current home in California. The result is an original menu characterized by olives, olive oil, tomatoes, garlic, onions, wine, parsley and other familiar Southern European ingredients, along with fresh local and seasonal Californian produce. Enhanced by exotic seasonings procured from around the world during centuries of Portuguese expeditionary voyages, each dish takes you on an unforgettable culinary journey. The venue also features an enchanting atmosphere with an open, wood-fired oven, hanging brass cookware, burlap draperies, wooden tables fashioned from old wine boxes, authentic Portuguese hand-painted pottery and traditional music of Portugal, by night. Less than half-a-mile from LaSalette Restaurant, Best Western Sonoma Valley Inn is conveniently located near all the best local dining venues. From five-star establishments to homey cafes, our Sonoma, CA hotel is your starting point for an unforgettable culinary adventure through Wine Country. Whether you're in the mood for a juicy hamburger, fresh seafood, Italian, Mexican or Chinese, it's all just down the road from our boutique hotel, where you'll discover the best Sonoma Valley dining right outside our front door.